We’re living through a retail revolution. Breakthroughs in technology are making the stuff of science fiction a reality. From Artificial Intelligence to voice search, retailers are building experiences that are frictionless, personalised, and deliver a level of service that had previously been impossible. But it isn’t just the standards in technology that are rising—so are customer expectations. CX is key to loyalty, and as each new innovation surfaces, retailers find themselves in an arms race to adapt in order to delight their customers. 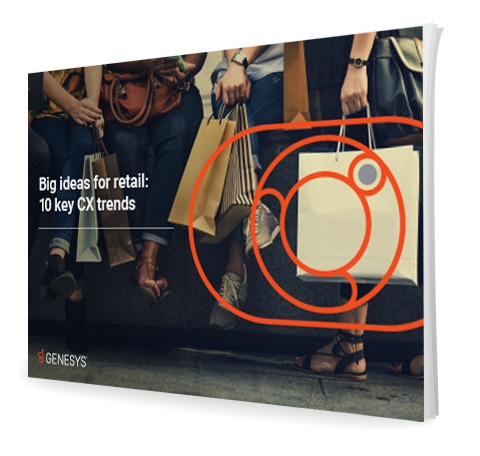 To find out what the current key retail trends are, download this eBook, and discover how tomorrow’s technology is transforming today’s retail world.